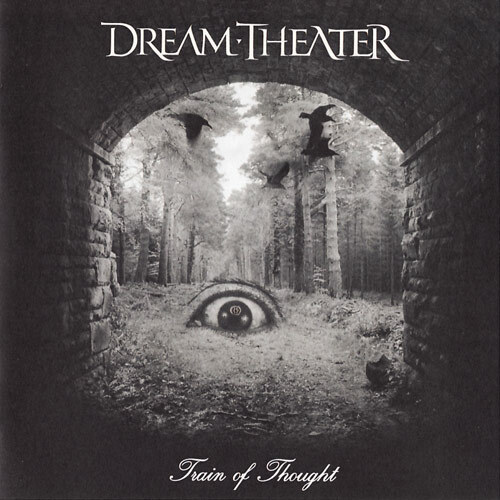 Dream Theater was the first prog band that I listened to, and Train of Thought was the first DT album that I listened to. So this album was practically my first introduction not only to prog metal, but also to progressive rock as well. I’m not really appealed by this album on the first listening back then. However, this album is now among one of my top prog albums, if not prog metal albums. Train of Thought is probably the heaviest sounding album DT ever made up to this day, compared to their other works. This album only have one soft track in it, rather short and serves as filler too, I think. The rest of this album is filled with lots of heavy riffs, guitar solos, and some other stuff that made this album sounds raw and heavy but still an excellent one. While this album seems to be more technical than their other works, they still put a great composition and writings on each tracks. Listen to songs like ‘Endless Sacrifice’, or ‘In the Name of God’ and you’ll see that this album isn’t all about technique. While the band seems to taking a different step with this album, they did a really nice job on it. Train of Thought is a great album. A few tracks may not appeal well on the first listening, but some tracks like ‘This Dying Soul’, or ‘As I Am’ are would likely catch you on probably the first or second listening. Moreover, the awesome fully instrumental track ‘Stream of Consciousness’ is probably the best highlight of this album! It’s really a great track that made it hard to describe; you’ll need to listen to this one to experience its awesomeness. Overall, this is a great album, but needs more time to listen to. Train of Thought probably exposes the heavy side of Dream Theater, but it shouldn’t to be taken less than their other previous works. Highly recommended.